It is when data is collected, recorded and shared that we grow as a community. The ultimate outcome of this project is to compile all the data we have on our local areas and assess which habitat is in the most immediate need of our assistance. The study will take into account findings from studies previously carried out, whilst using our own human resources to map the current habitat both under the water and along the shoreline. Taking into account past, current and future environmental events this investigation will predict the local habitat most in need of our efforts. Once analysed we will determine what type of habitat, the location of the habitat and why it’s important we start here. 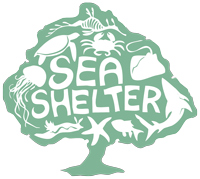 If you would like to be involved in this project contact us via our email team@seashelter.org ~ there are opportunities to help study the shoreline habitat or for divers to help us map underwater. Alternatively, if you know of some marine habitat anywhere in the Hunter that has been decimated please let us know the location so we can include it in our study.